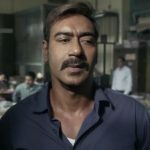 After the two excellent weeks, recent collaboration of Panorama Studios and T-Series Films, Raid has passed its third week on a decent note. Due to the terrific run of newly released Baaghi 2, Ajay Devgn starrer slowed down, because of which it got failed to join the 100-crore club by this week. Raj Kumar Gupta’s directorial didn’t show much growth over the third weekend, due to Baaghi 2 & last week’s Hichki. It reported the business of total 6.86 crores, that included 1.82 crore of 3rd Friday, 2.26 crores of 3rd Saturday and 2.78 crores of 3rd Sunday. Then on weekdays, as usual, Raid witnessed a considerable drop in footfalls than before but managed to remain decent. With a fall of 52.75% than 3rd Friday, it did the business of 0.86 crores on Monday. Following the trend, this crime drama minted the amount of 0.68 crore on 3rd Tuesday and 0.62 crore on 3rd Wednesday. On the next day i.e. 3rd Thursday, the movie got dropped further and bagged the amount of 0.58 crore. With this, its 3 weeks total collection has become 99.71 crores at the domestic box office including 90.11 crores of last 2 weeks. After a decent opening, Raid picked up strongly and garnered the business of 63.05 crores in the first week from 3500 screens across India. In the second week as well, it remained steady and collected the amount of 27.06 crores. As per current trend, the movie will take 1 more day to cross the 100-crore mark.